Lt. Com. W.H. Eschmann. Overall show Capt. 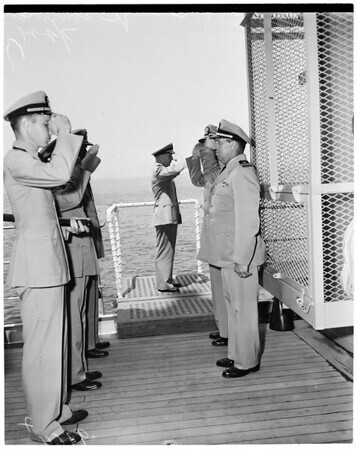 William Outerbridge reading his orders as he takes command of Cru L. Overall shot shows Capt. Lawrence Daspit reading orders releaving him of command Cru. L.A."